The president of the Burkina construction company, GELPAZ, Alain Zoungrana, is in the country to sign an agreement for the construction of more than 50,000 housing estates in the country. Zoungrana who is heading a seven-man delegation, told a press conference in Monrovia Tuesday that his willingness to get involved in Liberia’s development drive is to ensure that the government succeeds, adding “We want to work with Liberia by supporting its policy of constructing homes for those who cannot afford”. He said the agreement, when signed will support the government’s policy of providing shelter for poor Liberians. capital Monrovia and rural parts of the country. The construction company, Gestion Expertise Location Promotion Imobilere Alain Zoungrana (GELPAZ), and the NHA are expected to consummate an agreement that will allow for the Burkinabe firm to build categories of homes as would be suggested by the government. reaching an agreement with the firm. “Burkina Faso and Liberia are members of ECOWAS and have been close friends over the years and as such, GELPAZ will work with the government of Liberia to ensure that promises made by President Weah during the election process are fulfilled,” Zoungrana emphasized. Making the disclosure at a joint press conference in Monrovia on Tuesday, NHA Managing Director Duannah Siryon lauded the delegation for the visit and pledged the government’s commitment to ensuring that the agreement will meet the necessary standards for the betterment of the Liberian people and GELPAZ. According to Siryon, the NHA has deployed data collectors across the country to sample the views of ordinary citizens as to the types of homes they would prefer as well as the sites they would want to be constructed. He explained that the data collected from the exercise will be used as a guide by President Weah in his engagement with investors on the number of houses he wants them to construct and where he wants them to be built. The NHA MD named the various categories of housing laid down by his institution as the F1; representing a one bedroom apartment, F2; representing a two bedroom apartment, F3; representing a three bedroom apartment, and F4; representing a four bedroom apartment. 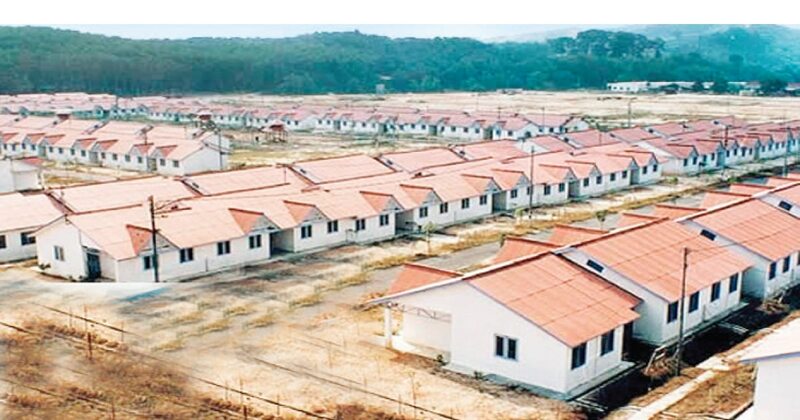 additional 30,000 housing units across the country.